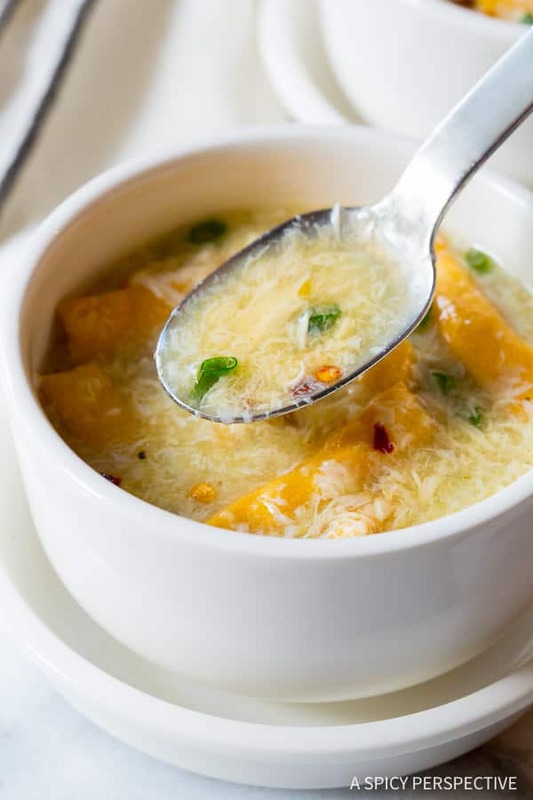 Today’s Simple Egg Drop Soup Recipe is a light and healthy meal, perfect for transitioning from winter to spring. You can never have enough fabulous soup recipes. Soup has a way of soothing the body and mind like no other food. Yet some soups do it better than others. 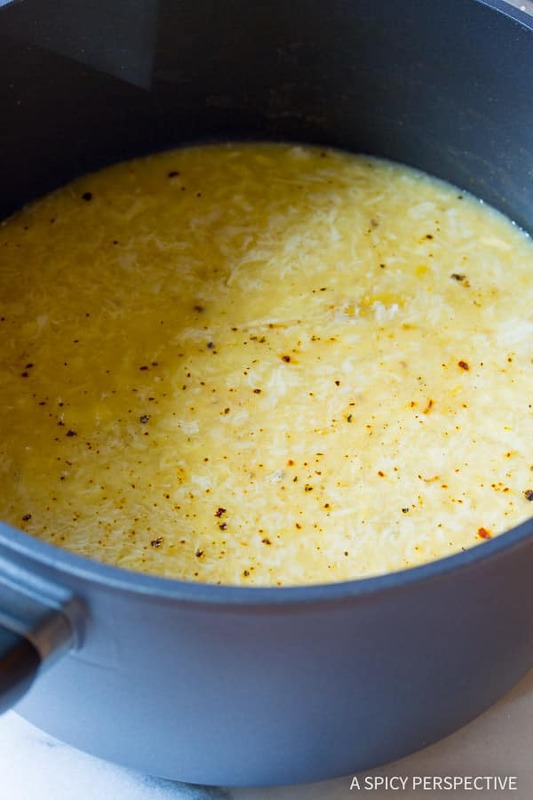 I’ve always felt a simple egg drop soup recipe is one of the most comforting soups around. It’s light, with a delicate fragrance and silky texture. Warming and smooth, yet not overpowering. To me, a simple egg drop soup is even more calming than chicken noodle soup, and that’s saying a lot. I like my simple egg drop soup recipe to be really simple. Meaning no mushrooms, or tofu, or little corn kernels floating around. I find them strangely annoying. In fact, the only garnish or add-in I deem acceptable are chopped green onions, and maybe a few crunchy Chinese noodles on top. I’ve got to draw the line somewhere. 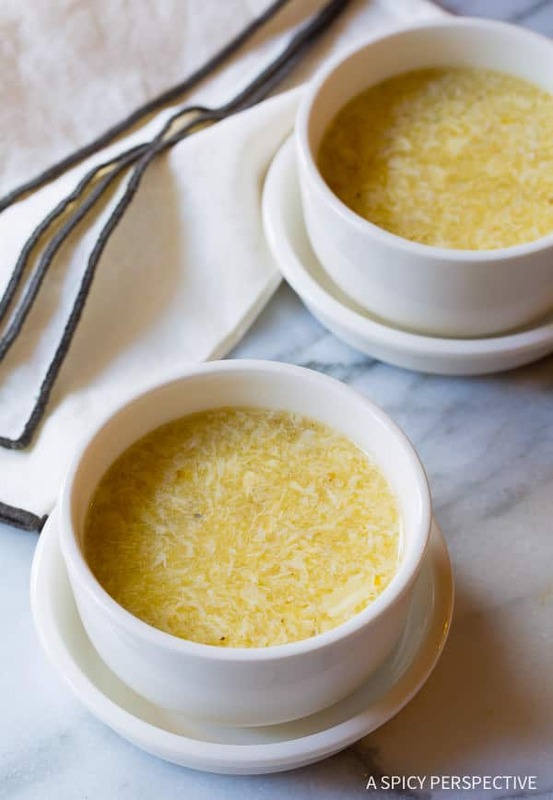 To make this Simple Egg Drop Soup Recipe, bring a pot of chicken broth to a boil with cornstarch, ginger, garlic powder, sesame oil, and soy sauce. I also add a little turmeric for color. 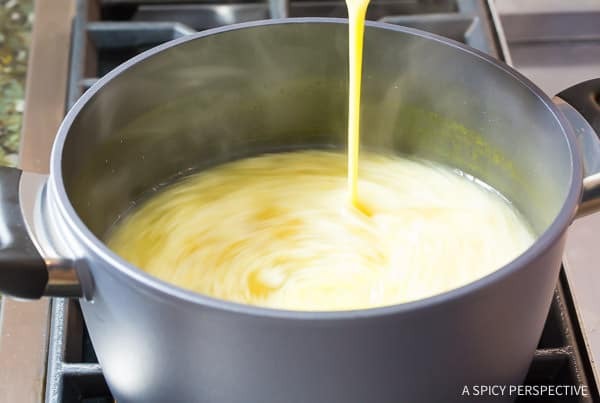 Once the mixture is boiling and slightly thickened, stir the soup into a quick swirl, then slowly pour in beaten eggs. The swirling hot broth will create fine egg ribbons throughout the soup. That’s all it takes to prepare this most comforting of soups. 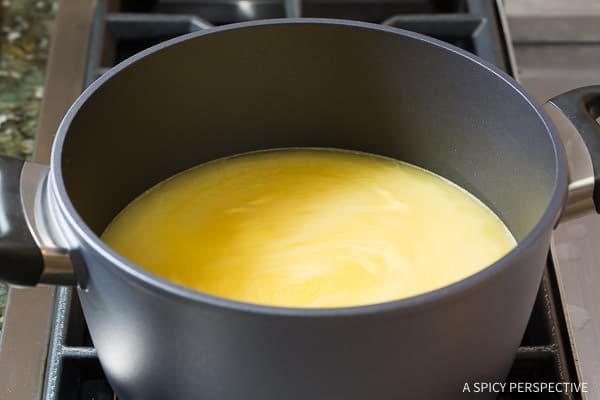 You can make a steaming pot in 15-20 minutes, that tastes even better than at your favorite Chinese restaurant. I love to enjoy egg drop soup as-is. No fussy garnishes or distractions. Yet if you need a little crunch or a note of freshness, add in the chopped green onions, crunchy chinese noodles, or any other topping you like! 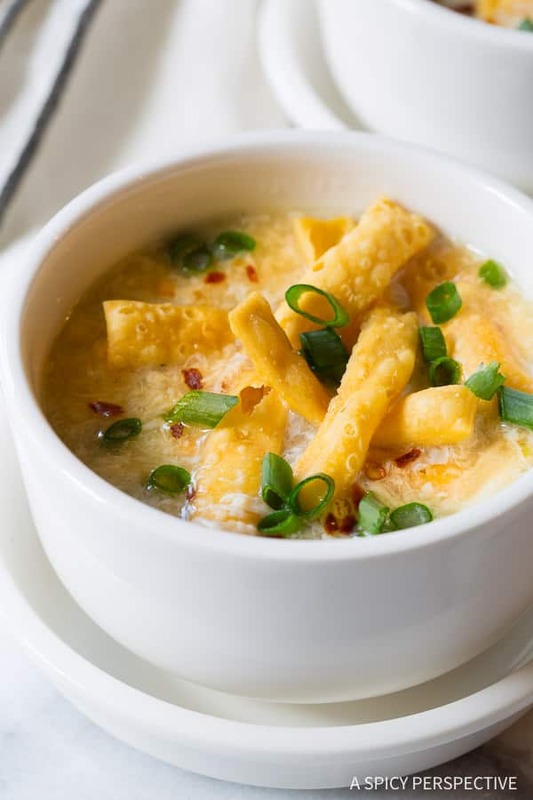 Simple Egg Drop Soup Recipe – Savory, healthy, and packed with flavor. 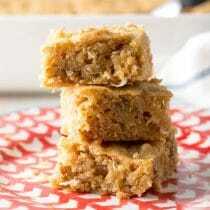 This easy paleo recipe is a family favorite that you can feel good about serving. Add the chicken broth, cornstarch, soy sauce, sesame oil, grated ginger, garlic powder, and turmeric in a large sauce pot. Whisk well. Then turn the heat on high and bring to a boil. 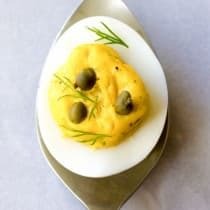 In a small bowl, whisk the eggs well. Then stir the soup base to get it swirling and slowly pour the eggs into the soup. The eggs swirling into the soup will create ribbons of egg. Turn off the heat. Taste the soup and add salt and pepper to taste. Serve as-is, or garnish with chopped green onions, and crunchy chinese noodles. Can you substitute vegetable broth? 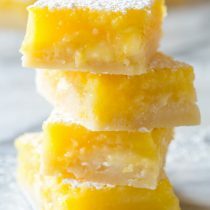 Fantastic and so easy to make ! 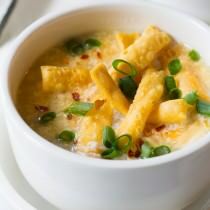 I have long been a fan of your site and recipes and this egg drop soup tops the charts. I am fighting my second round of bronchitis and not feeling very “eaty” but wanted something warm and soothing. This filled the bill and I will be making this again soon. 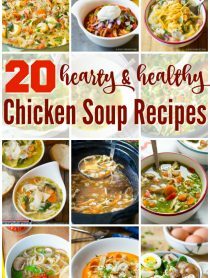 I used the lower fat and low sodium chicken broth and feel the taste did not suffer at all. Keep up the good work! REALLY? And all this time I thought it was so hard to make!! Okay, we that seals the deal! Can’t wait to try this! 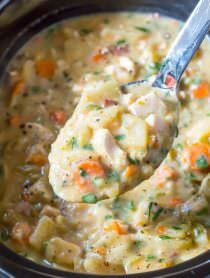 One of my all time favorite soup recipes! 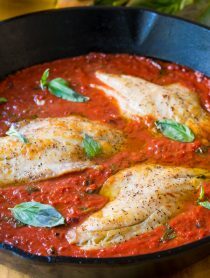 I love a quick and comforting meal! 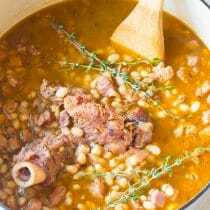 Love how simple and quick this soup is!